Last week Entergy made clear that it wants to operate Indian Point even if the workers who normally operate the plant go on strike. Entergy asserts that managers could cover the duties of their staff. This is a new low in Entergy’s disregard of safety at Indian Point. 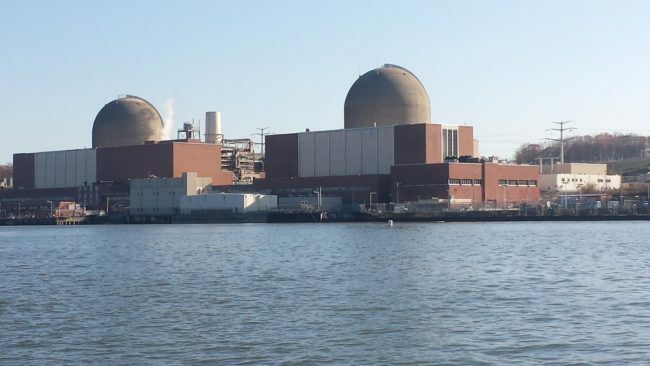 Indian point is an old plant nearing the end of its life. It has multiple ongoing problems that have caused unplanned shutdowns, such as leakage of corrosive water through the O-rings that are supposed to seal the joint between the reactor vessel and the reactor head. A similar O-ring leakage issue caused the Challenger space shuttle explosion in 1986. This problem and others led to a two-week plant shutdown just before the holidays. Amid the recurrent critical malfunctions, allowing “management” to expand their duties to fill the roles of multiple employees and directly operate the plant is asking for trouble. If workers are not available to operate the plant, the solution is simple. It should be taken offline until Entergy and the workers can resolve their differences. According to press reports, one of the key sticking points between Entergy and the Utility Workers Union is “what role utility workers will have in the years-long decommissioning process that will follow the shutdown.” The Union wants guarantees that the experienced workers will stay on to do the decommissioning. This is something that Riverkeeper also believes is essential. Common sense dictates that the workers who have run Indian Point for years must remain on the job throughout the decommissioning process. The workers have familiarity with the idiosyncrasies of the old plant and are established members of the surrounding communities. Entergy’s refusal to commit to retaining experienced workers to do the decommissioning seems to indicate that the company intends to offload its financial liabilities by allowing an under-capitalized third-party to take over the decommissioning of Indian Point and potentially delay the process for decades. As we made clear at our recent forum, this approach is not acceptable for multiple reasons. Most relevantly, it fails to appreciate the key role experienced workers should play in ensuring a prompt, safe, and effective decommissioning of the plant. In addition, allowing the current plant workers to leave would undermine local communities, affecting tax revenues and housing values. To protect its profits, Entergy is trying to shirk its responsibilities on safety, to its workforce, and to the local community. New Yorkers must stand united to ensure that does not happen.